In most cities, skate parks are still being built in the outskirts, in order to avoid potential conflicts betwee skaters and other public space users. 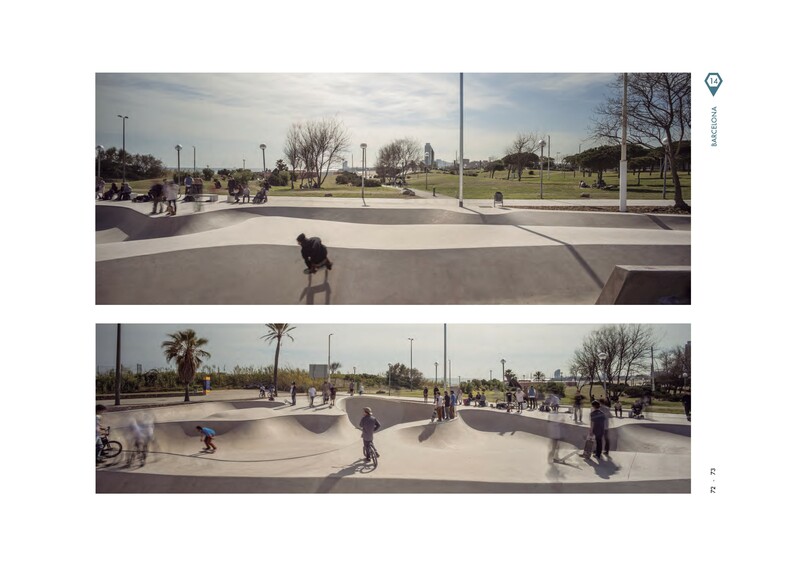 The Landskate Parks have changed this dynamic and have become a new and contemporary alternative of public space. These new public spaces are not seen as isolated objects in the landscape, but as a non-detachable part of the area in which they are placed. 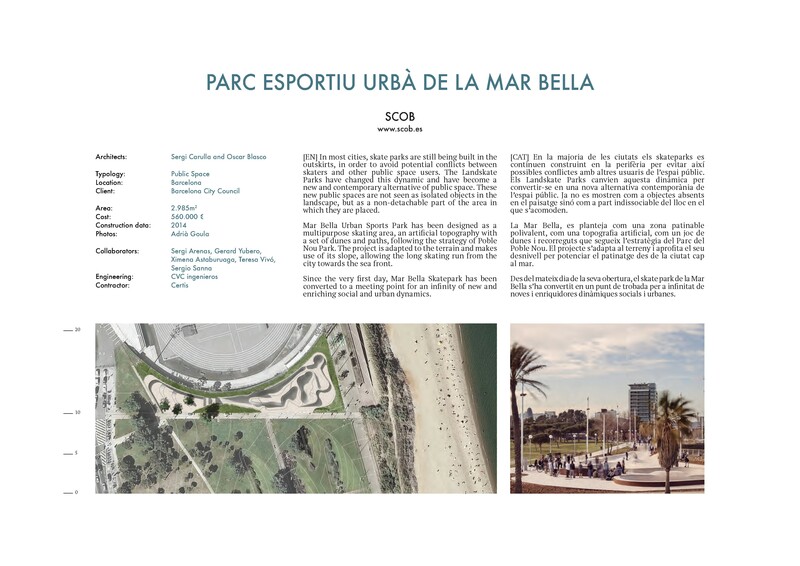 Mar Bella Urban Sports Park has been designed as a multipurpose skating area, an artificial topography with a set of dunes and paths, following the strategy of Poble Nou Park. The project is adapted to the terrain and makes use of its slope, allowing the long skating run from the city towards the sea front. Since the very first day, Mar Bella Skatepark has been converted to a meeting point for an infinity of new and enriching social and urban dynamics.